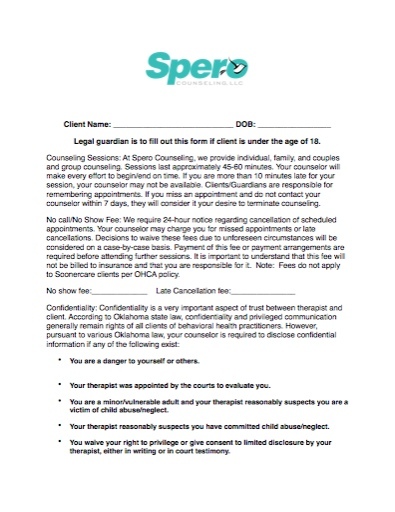 An outline of your rights and responsibilities as a Spero client. Please read this and bring a signed copy with you to your intake appointment. Please feel free to ask your clinician about any questions you may have. 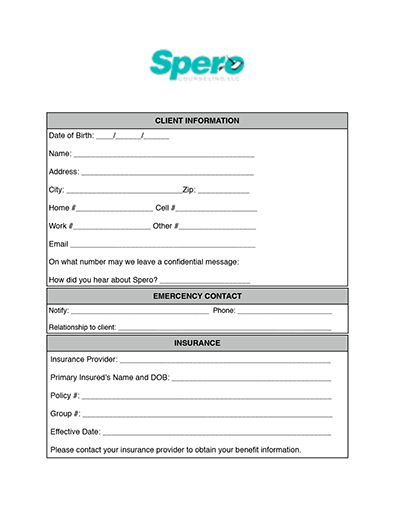 Please fill this packet out to the best of your ability and bring it with you to your intake appointment. This information will make it easier for your therapist to get to know you and what issues or life events you want to address in your sessions.